Please note that camping at Shoe Creek trail is no longer allowed from the Appalachian Trail Crossing down to the lower end of the trail (State Rd 827). This includes the campsites near the stream. There are many campgrounds in the area to choose from though. This trail is also VERY easy to go off trail, both sides of the main trail are PRIVATE PROPERTY and should NOT be driven on. This includes the "rock garden" which the trail passes through and either the old or new "slick rock". "He'sa comin' down from the Cumberland Gap to Johson City, Tennessee..."
I believe this goes without saying, but if you cross a closed gate, you can be fined, arrested, and your vehicle can be confiscated. That's is the property owners are kind to you. I will update if we get any new information. 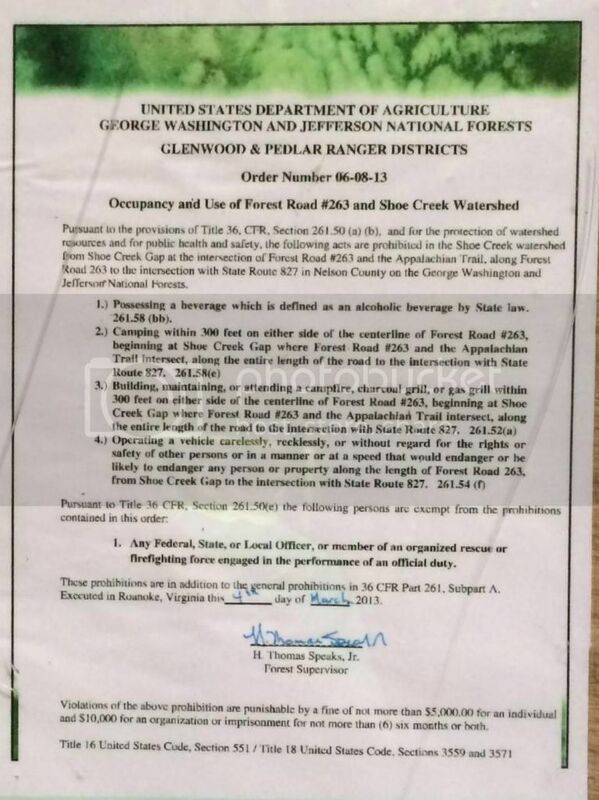 We here at Virginia Fourwheel Drive Association have been in constant contact with the Rangers from the Peddler District and here is the latest on the trail closure. The property owners have gated the lower and upper entrances to their property. The NFS doesn’t have “right of way” through the private property and the land owner has every right to close access to their property. They have closed access through their property because of the constant vandalism to the property (tearing down of no trespassing signs, off trail wheeling and theft of personal property from their cabins). The NFS has temporarily closed the lower entrance to the Shoe Creek trail up to the lower private property gate to repair damage to creek crossings and off trail spurs that have been used by people throughout the years. They plan to add stone to creek crossings and plant vegetation along creek crossings to help keep sediment out of the streams. They are also going to add signage to help stop illegal wheeling on this trail. 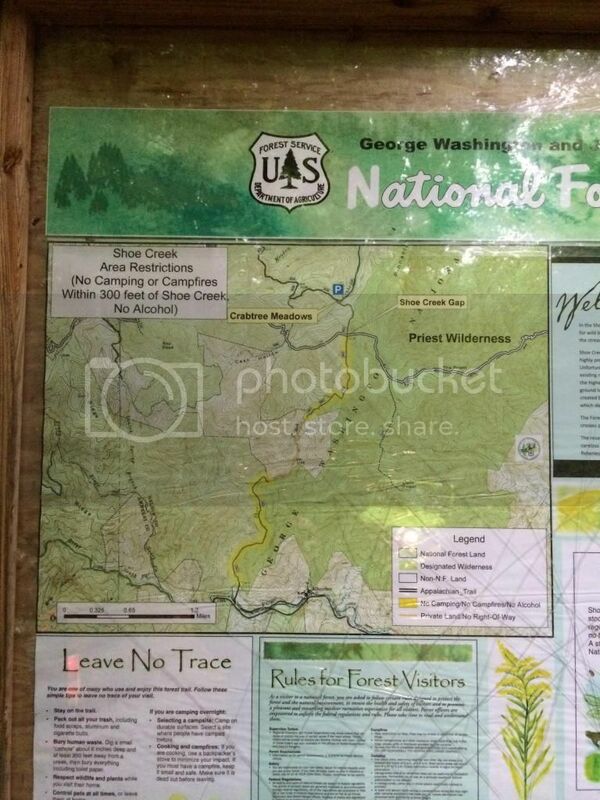 Remember this is a point to point trail and NO off trail wheeling is legal or allowed. They plan to only have the lower part of the trail closed for two to three months during this effort. The upper part of the trail is open down to the private property gate. From both trail heads to the private property gates is about 1.3 miles of trail. As respect to the private property owners please don’t damage their gates. There has already been a group caught by the property owner trying to pull the lower gate down using a strap and a winch. As food for thought the gates are at least 100 feet in on their property and at that point you are trespassing and can be ticketed or worse. So our advice is to respect the property owner’s wishes and stay clear of their property. Damaging gates, trying to go around gates, and causing property damage is only going to make this situation worse and then the NFS will have no choice but close the entire trail. As more news from the NFS is available we will let you know. 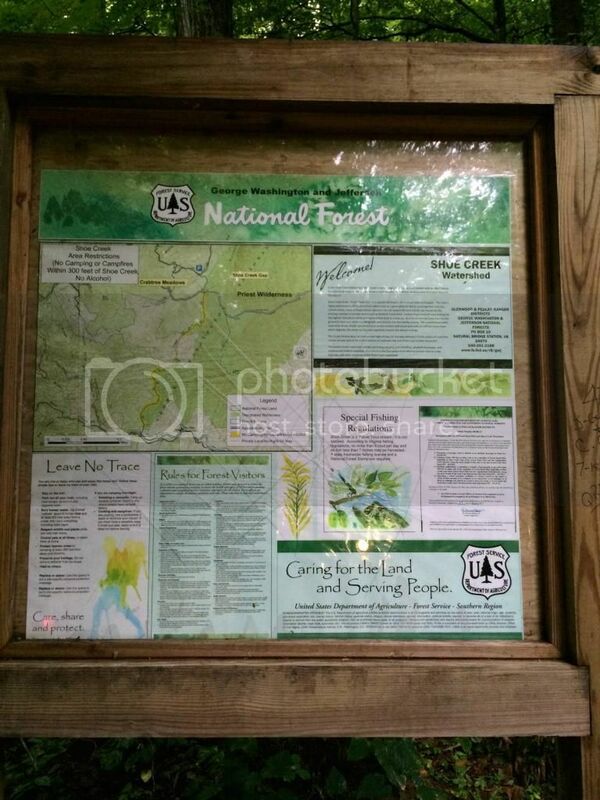 There will be an official notice from the NPS in the next few days on the closure to the lower entrance to Shoe Creek." Thanks, I had seen that and forgot to post. Thanks for doing it. 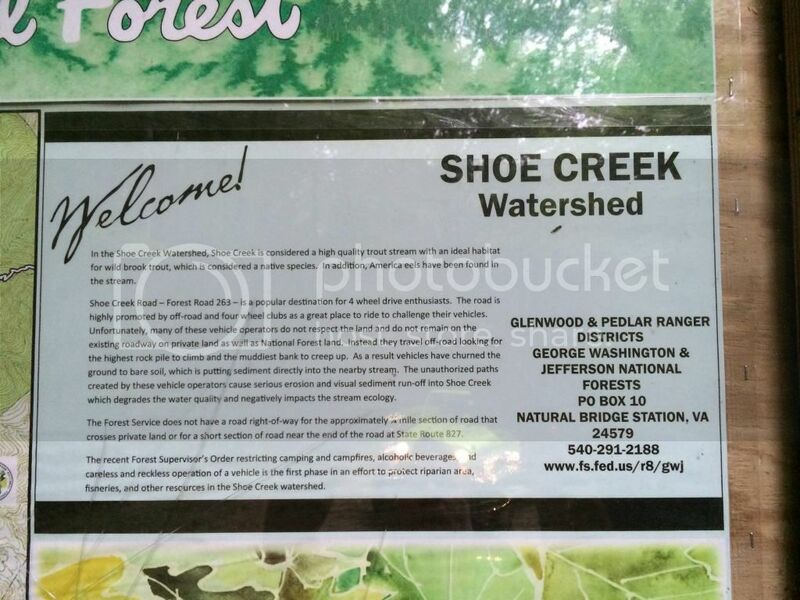 Shoe Creek Road (Forest Road #263) is temporarily closed from State Route 827 at Piney River to the privately installed gate due to road damage. This portion of Shoe Creek Road is expected to reopen in October. Additionally, due to road damage on private land, adjacent land owners have gated and closed the private land portion of Shoe Creek Road from all public travel. State Route 827 is no longer a through road; approximately 0.6 miles of the road is inaccessible. The closed section begins approximately 1.5 miles from Crabtree Meadows and reopens 1.5 miles from the intersection with State Route 827 at Piney River. For additional information, contact the Glenwood and Pedlar Ranger District Office at: 540 291 2188.